The rules of fashion are constantly changing and everyone always gets a little confused when the dress code shouts out for smart casual. Smart casual is the best kind as you get to look swish but be comfy at the same time. We all hate work days when we have to wear a stiff uniform but are there any rules to what you can and can't wear for smart casual? The basic premise is that you look tidy, well presented but with a more relaxed edge think shirt no tie. Chums challenged me to break it down into two outfit styles for ladies and gents. 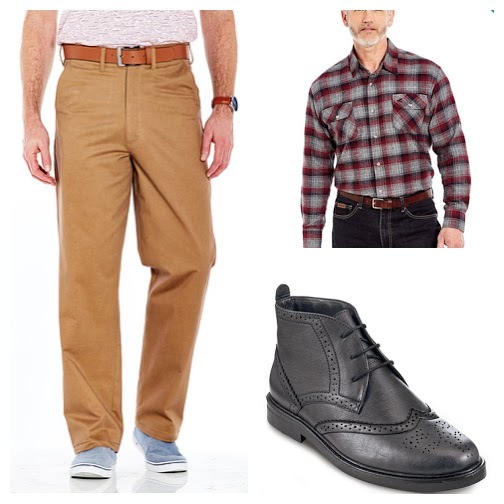 Chinos and a plaid shirt with a nice classic pair of boots can look really smart and still on trend. The relaxed fit of the chino make them more comfortable than a regular slacks but look smarter than a jean. If you are stuck with only jeans go for a darker colour like a deep navy blue or even black as the lighter the jean the more casual your outfit will appear. Shirts are a great way to play with the smart casual look and the sleeves can be turned up to create a relaxed look. A clean ironed shirt can have a great impact on making an impression and can create a flattering fit. The pattern in the plaid also can help create a sleeker look and the splash of colour makes the outfit more fun. Polo shirts also look great with this kind of outfit a more fitted variety looks much smarter. Smart shoes or boots can really finish this look off to give that smart but cool edge. Go for a classic Chelsea or brogue boot. These kind of boots are timeless and look great in black or brown. Boots can be a huge confidence kick as well and help you create a suave relaxed and confident look. 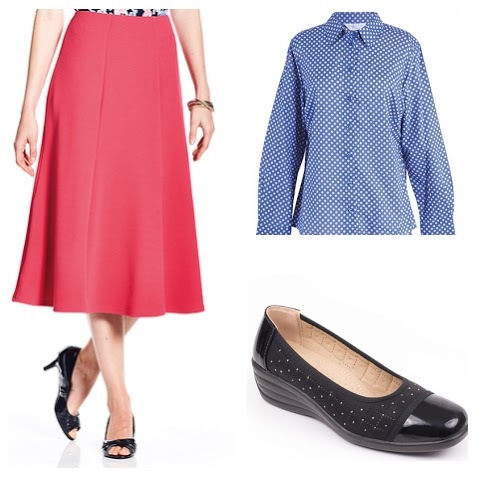 This look can have a real vintage twist if worn right. The mix of red and blue creates a nautical feel and you should never be afraid to experiment with colour. The great thing about separates is you can create a capsule wardrobe that you can wear over and over again in a number of different ways. This would look great with a cute cardigan or red scarf or even with a Cami underneath and the shirt unbuttoned part of the way. What do you think of these outfits? Have you checked out Chums?